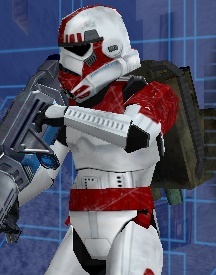 "3D models and textures are currently being converted to an open-model format so that anyone with the desire and ability can use them in Battlefront 1 or 2." That is excellent news , it'd be awesome to have a big mod that replaces all vehicle models with the ones from Battlefront 3 , oh that would be something quite awesome. "Corra_Ashu released new packs containing several Assets from this game" New Packs? I bet it's from the pre-alpha but can I have a link please? With that said , we wouldn't be here if someone decided to leak the Alpha. It's the build that works the best and was mostly complete and very polished for the most part. I'm talking about the one from the trailer , you guys know. Also the only one in possession of the Alpha is Disney. Find an ex-dev on LinkedIn or something? That's how I usually search for them. Only the... Map Editor? I swear that we've seen raw footage from the campaign missions and instant action with some actual gameplay in it , so I don't think this makes much sense to be honest. The fact that "Disney" (that includes EA and Dice) has the Alpha build makes much sense although very sad for some of us. I've heard it before from a few people that not even Ex-FR employees have the Alpha... (although not 100% confirmed). Either way it's good to know , Maom. I'll try and contact some people in the coming weeks , see what I can learn. I like to think that I'm not the only one who'd give a ridiculous amount of money to play BF3. Don't contact the founders of Free Radical. They won't reply. The alpha is 100GB+,and most of it is assets. Both Corra_Ashu and the BF3 Developer told me only the editor works. I don't trust a random person saying they heard from a random person who heard from a random employee. Eh,you got me. There's no guy,just me. The developer made the backgrounds for SWBF3. I can't tell his name by his request. Interesting stuff Maom but I'm not sure what to think... you say that the FR employees won't reply (which is true) but your link has a whole Interview with a FR employee! If we can really confirm that the editor only worked for the Alpha then I will give up trying but I'm not sure what it means to be honest , there is raw gameplay footage shown in the trailer. Teancum is clever not to trust anyone and from my point of view , I'm not sure if the editor thing is true , especially since I can't trust Corra_Asshu after he lied to EVERYONE that he had the Alpha (that's a big freaking lie). Either way I appreciate and respect your enthusiasm but I guess we need to do some more digging , I wouldn't trust anyone unless they did work on FR or LA. If the editor were the only thing that worked in the alpha then why can I play it on my modded 360? That's the PRE-Alpha. That was done (why would it go in alpha if it wasn't). The Alpha build is 100GB and only the editor worked on it. I said the founders wouldn't reply. Also the guy has his own CV with FRD work. TheMastermindOfMaom wrote: That's the PRE-Alpha. That was done (why would it go in alpha if it wasn't). The Alpha build is 100GB and only the editor worked on it. So what you're saying is that at some point between the leaked version and the version used for the leaked trailer the in-game engine was broken? I suppose that's possible, albeit unlikely. If that's the case no wonder Free Radical was in such hot water and couldn't hit their milestones. "2 - What do you think of the Pre-Alpha build getting leaked? Disappointed mostly. I remember seeing much newer builds of the game in better states, it's a shame that the world got to see a version that was half baked." Wish we could get one of those. "7- In what engine was the game made? It was built from the ground up in house. The folks that worked on it were bad Diet Dr. Pepper (one dude basically ported time splitters 2 to the wii in an afternoon as a test to see if it could be done) Although I remember some of the early iterations of the terrain tools burning my retinas (Play Endor on the x360 leaked build for this). The engine worked on wii, PS3, Xbox and PC." Could this be the problem? I will ask the developer more about this and post when I get the answer. 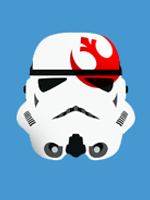 P.S @everyone If you got a question you would like me to ask the SWBF3 dev PM me. Given that Haze (their PS3-exclusive title that released near the time SWBF3 was being developed) had a very troubled development cycle I just don't know if I can put any stock into my once-favorite developer. Haze was a total mess, being delayed multiple times, it dropped two platforms from the mix (360 and PC) and used the proprietary engine. Free Radical was one of the greats, but making the transition to 360/PS3 seemed like it was a total train wreck. Regardless of whether the interview you posted is legit or not, I struggle with whether they could have pulled it off. You can see a lot of greatness peeking through in the leaked build. A LOT of greatness. But everything that's out there in the media says they had a very troubled development time. Maybe it was a good thing it got cancelled. Then again, after watching the extended leaked trailer, I still love FRD (Free Radical Design). I wish a later build had leaked. Teancum wrote: Then again, after watching the extended leaked trailer, I still love FRD (Free Radical Design). I wish a later build had leaked. We all do man , now like I said the best we can do is do some research and see if we can find out if the Alpha build actually worked or not. I don't see much actual point in doing that. Considering when this build was released versus when the game was supposedly cancelled they definitely had builds that were MUCH further along than this alpha, so it doesn't really matter what build was used for a trailer that was never released. Hey everyone. The employee replied about the Alpha. Me:Is it true that the build is over 100GB and only the editor works? Employee:That wasn't the build. The game was built from 100's of gb of assets. The editor was used to pull them all together. A distributed build system then ran to turn the assets (including editor files) into a workable build. The frd editor didn't have a 'press play to run the game' button or on the fly compiling for the game. You'd view you work in game by on a separate build machine. Occasionally there were milestone builds you could get running on your local machine, but apart from netcode tests you rarely use them. TheMastermindOfMaom wrote: Hey everyone. The employee replied about the Alpha. Good find but please ask him about the leaked Alpha Trailer , what about that? Wasn't that a playable version build? Did you know that the game never went to Alpha? Check the link before replying about anything regarding to the interview please. He sounds pretty frustrated in his recent answers. I'm betting he probably won't say much more after this.